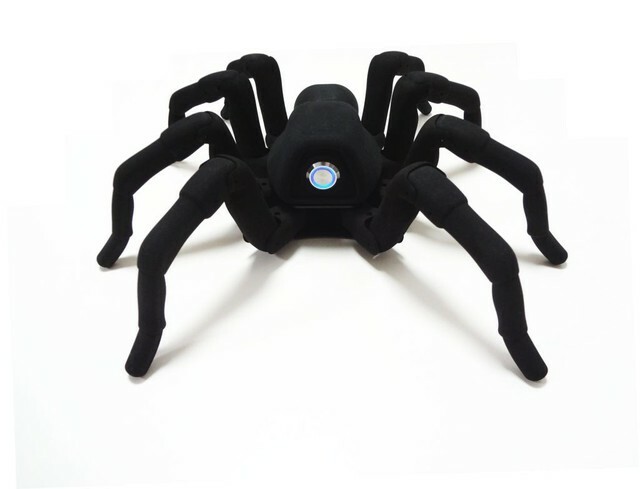 The T8 is 3D-printed octopod robot created by Robugtix that resembles a spider. The wirelessly-controlled robot is currently available for pre-order at Robugtix. It uses a total of 26 motors: 3 in each leg and 2 in the abdomen. It is powered by the Bigfoot™ Inverse Kinematics Engine which performs all of the necessary calculations for smoothly controlling the motions of the robot in real time.